WOW! Firework and rockets!! 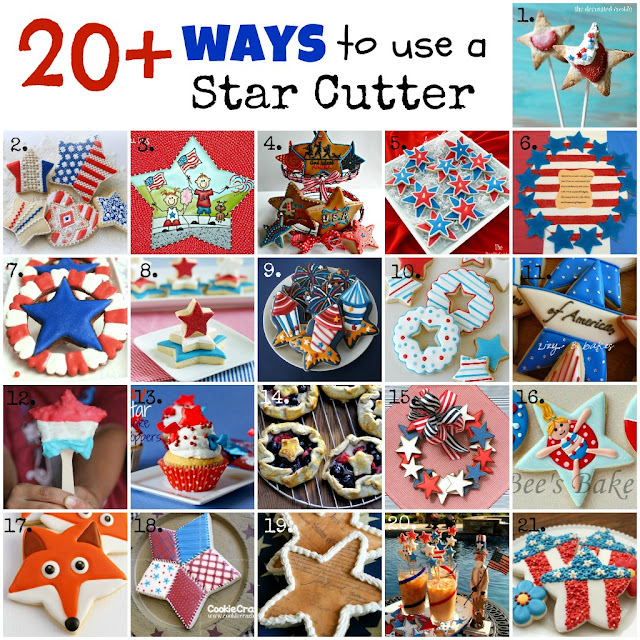 I love what you did with the star cutter! Totally amazing and the cookies could not be any better! I love the design and the way you decorated them! PERFECT!!! The colors you have on these cookies are so incredible! They look 3D and I couldn't wait to see how you made them! Great set! Safe to say that you haven't lost your cookie mojo, not at all and that you just blasted yourself out of your cookie funk! These are adorable, fun and perfectly decorated. 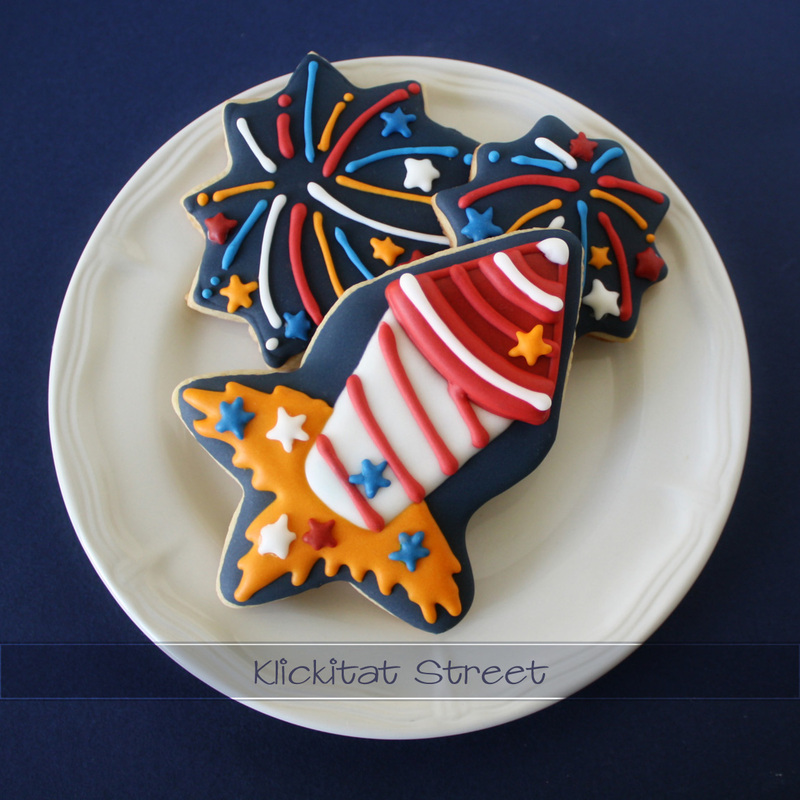 Have a *rockin'* great July 4th celebration! So honored to bake with you! You get my 'favorite of the batch' award by far! Genius! What crazy skills! Love the rockets, but you actually made fireworks that look like fireworks? I'll use Lizy B's word: Genius. Such a beautiful set! These are just so classic and perfect!! Isn't it fun to have a project that inspires you? Just what an artist needs from time to time! Can't wait to see what you come up with next, your work is always so creative! So clever! Love the way you've used the star cutters, and looove the way you decorated them! 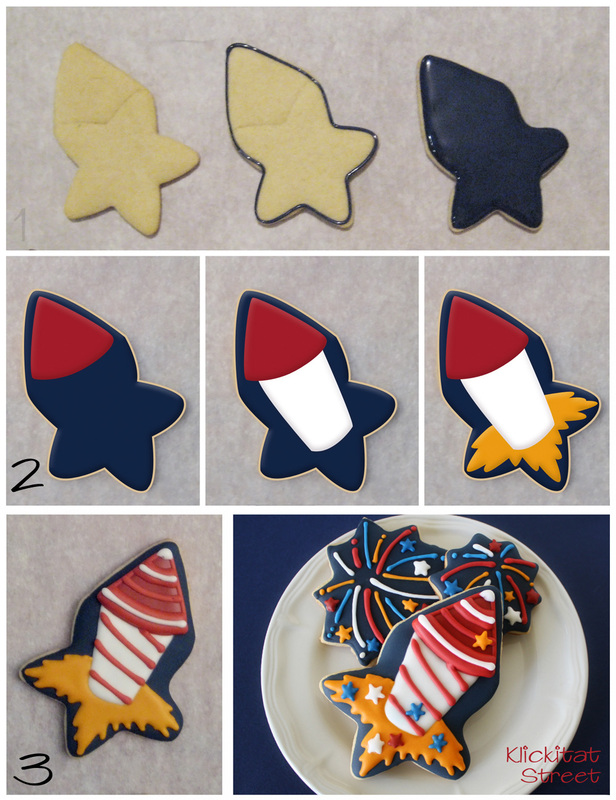 You totally rocked these, such a ingenious use of star cutter! WOW! You certainly found your cookie mojo and then some with these wonderful creations! I adore these!!!!!! I am EXCITED!!! I WAIT AND WAIT to see you pop up with a new post! If I knew i had the power to get you cookie-ing I would have asked long ago! Seriously, though, these are gorgeous! I love the colors the design...I love everything you do! Stunning!!! I know what it's like to feel like you've lost the cookie mojo. Trust me you haven't. You are one of the most creative cookiers out there. Beautiful job!!! Beautiful barely sums this up--you are amazing. Great job. I hope you'll add these to my Patriotic Project Parade. I would love to see them there.